Infralab provides the widest range of the most advanced, economical and most accepted smart classroom devices that facilitate interactive content and effective collaboration. Our equipments are widely used across the nation for improved learning and teaching models, presentations and education technology solutions. 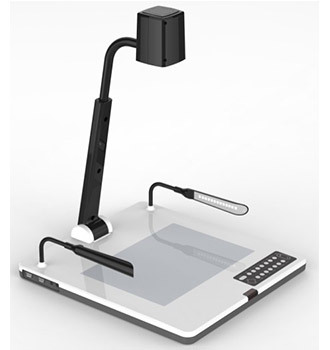 If you are looking for robust smart classroom equipments, then you have reached the right place. Infralab provides customized presentation aids tailored to meet specific requirements of educational institutes, government organizations & private corporate units. 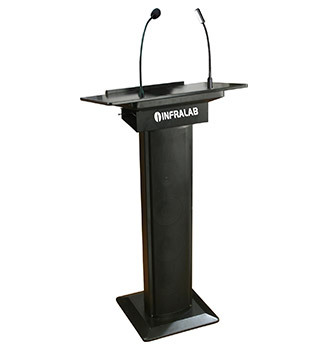 Infralab offers smart classroom equipments in India. 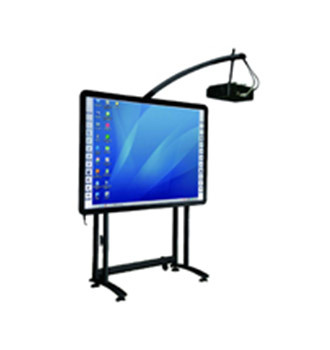 Our product range comprises interactive whiteboard, digital podium, PA podium and visual presenter. Get in touch with us now to get the latest technology in your presentation cubicle. effective teaching and learning methods! In the dynamic world of digitization where technology is all pervasive, interactive white board remains the latest innovation in Indian education industry. The infrastructure of a smart classroom completes with the advanced digital podium iTouch lectern. 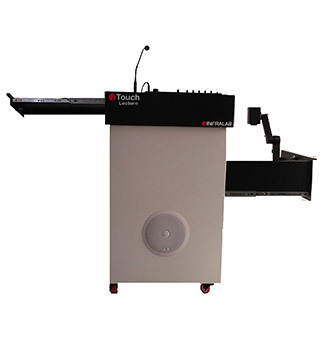 Power Podium adds power to your classroom the basic application of this device is to help teachers deliver subject lectures conveniently. Infralab powers Indian education system with advanced technology driven solutions. We build smart classrooms for institutes to discover new teaching & learning methods. Incorporated in the year 2009, we have been helping educators and presenters to intensify interaction and collaboration in classrooms. Our integrated solutions boost quality teaching practices across all verticals of education system by keeping them ahead of innovation graph. Infralab believes in building long-term relationship with clients. When we build a smart classroom, we partner their responsibility to provide the best facilities to teachers as well as students. Besides our ready to use equipments, we design and develop state of the art educational technology to meet special needs of clients. From installation to support services, we personally interact with our clients and take 100% accountability for the performance of equipments.